0. Courses are taught in English. 1. The program is 2 years long, and it is completely free for every student on the program. 2. Moscow Institute of Physics and Technology (MIPT) provides every student with a free accomodation in modern houses on the territory of the campus. 3. 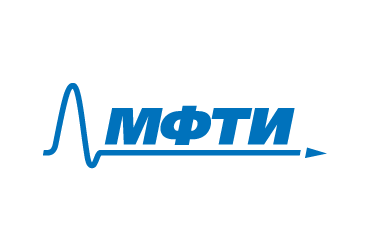 MIPT helps with obtaining a Russian visa. 4. We have a very strong team of lectors from MIPT (including professors V.L. Dol’nikov, A.Ya. Kanel-Belov, R.N. Karasev, A.M. Raigorodskii, D.A. Shabanov, I.D. Shkredov, etc.) and we also have visiting lectures by leaders in the field from the best scientific centers of Europe, United States and Asia (among them, D. Gamarnik (MIT, Boston), G.O.H. Katona (Renyi Institute, Budapest), J. Pach (EPFL, Lausanne; Renyi Institute, Budapest), B. Sudakov (ETH Zurich) (Georgia Tech, Atlanta), P. Tetali (Georgia Tech, Atlanta)). This is a really unique combination! 5. The department of Discrete Mathematics at MIPT, which is organizing this master’s program, not only has prominent professors listed above, but also has very good scientific relations with Yandex, the most popular search engine in Russia. Professor Andrei M. Raigorodskii, head of the department and director of the program, is also the leader of a research division at Yandex, which uses combinatorial methods to provide good models of web-graphs and to improve search quality. Thus, our students have chances to get an internship at Yandex research labs. 6. To apply for the admission to this programm, please feel free to write a letter to Professor Andrei M. Raigorodskii who is the program director. His e-mail address is mraigor@yandex.ru. To your letter, you should attach your CV including places where you have studied before or worked before, a description of courses in mathematics and computer science that you have taken, etc. Basic knowledge of combinatorics, probability, calculus, and linear algebra is desirable. In some cases, a skype interview with an applicant may be organized. 7. Although our program is devoted to really advanced modern combinatorics and its most important applications, we shall certainly spend some time in the first semester to introduce our students to the basics of the subject.